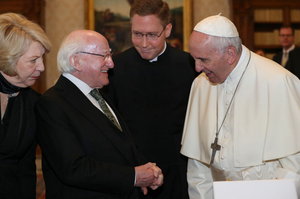 This month, Pope Francis will come to Ireland. It will be a visit full of pageantry and symbolism. A visit that has deep meaning for many people of faith. But it seems that this visit will also be marked by an effort to silence and marginalise those whom the church has harmed. We cannot stand by as those who suffered abuse and violation are pushed to one side and denied. We cannot stand by and see the victims of the church’s brutal history marginalised and dismissed. We cannot stay silent as the Vatican uses its power and pomp to forcefully deny the reality of the harm it has done. We will not stand by. 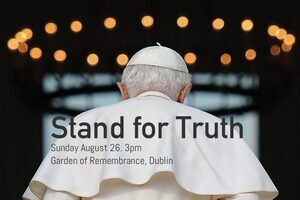 If you or someone you love has been harmed or abused by the Catholic Church, or if you want to stand in solidarity with those who have been abused, join us, in the Garden of Remembrance, Parnell Square, Dublin on Sunday August 26th at 3pm. Stand with us. In solidarity, in dignity and in truth. We are a different Ireland. 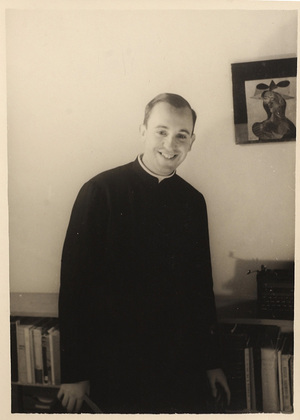 Posted in Misc and tagged Colm O'Gorman, Pope Francis, Stand for Truth at 3:03 pm on August 15, 2018 by Bodger. Do u intend to protest? Looks like they have all the roads and access from south of the Liffey blocked..
Ill attend , see ye there…. of Tuam from north of Knock Airport going to get to the Silent Vigil in Tuam. who wish to travel to Tuam may do so unimpeded…..? that the current Pope is their prisoner and not their Boss. The ticketing is to get the numbers and health&safety right, as with Phoenix Park. The roadblocks, I imagine, are likely to prevent people with caravans from descending en masse on Knock and parking up illegally. People who want to protest should just use the transport and access arrangements for the papal events. Fair enough. But the protest should require free tickets to gauge the interest. I’ll be there regardless. IMO It’s possible to protest and respect the right of others to attend the Big GIg too. I dare say there would have been people who wanted to attend both events. Lots of Catholics are disgusted with the Church behaviour but believe in a higher power that requires them to profess their faith at RC events. However, that seems to be an ecumenical matter on the Fr Ted level. 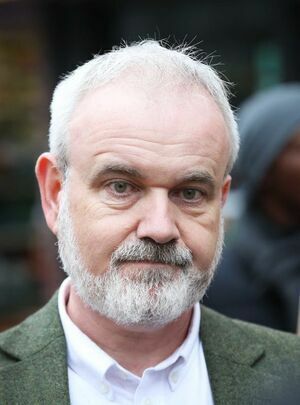 I do wish Colm O’G would lose the Jeremy Corbyn look…. it’s not going to end well….